There are many healthy benefits of frequent massages. Massages are particularly good to promote better circulation. To keep tissues pliable and keep you more flexible. Made to relax you and combat stress. Bring a feeling off well-being to the mind. Can be considered good preventive medicine. Relaxed or Swedish massage: This massage uses gentle pressure and a variety of long-flowing strokes, or the medium combine. Deep to extra deep pressure: This massage technique uses firm pressure to go deep into the muscle tissue releasing deep long-standing muscle tensions. This is not recommended for a first time massage or for sensitive people. Sport: It combines deep pressure massage and stretching technique movements. Bio Energy: Treatment using 3 to 4 Aromatherapy in different areas of the body to create perfect harmony & balance of the mind and body. 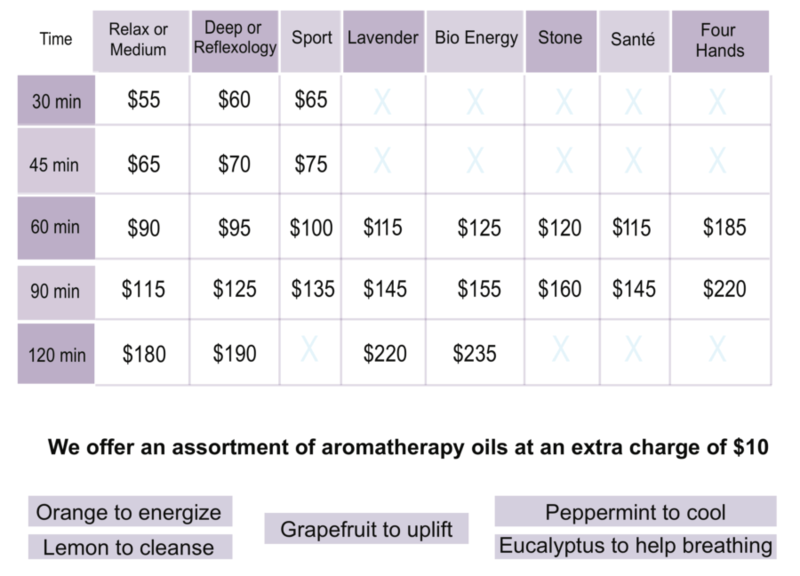 Lavender: This massage has a personality of his own using a warm water pillow to focus specifically on the lower and upper back, with lavender oil that is well known for is therapeutic proprieties will turn your stress into a relaxing and wonderful experience. Stone: This massage uses smooth, dark, heated stones to relieve stiffness and restore energy. 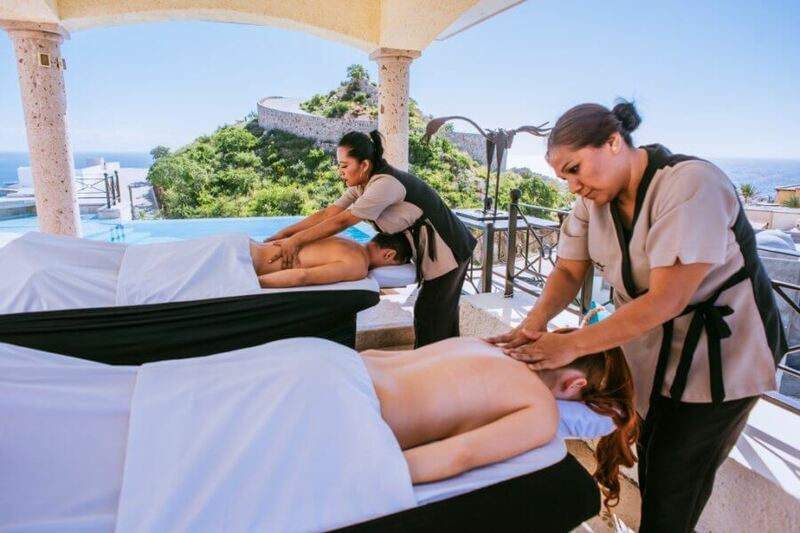 You will enter a deeper dimension of relaxation, health and well-being. 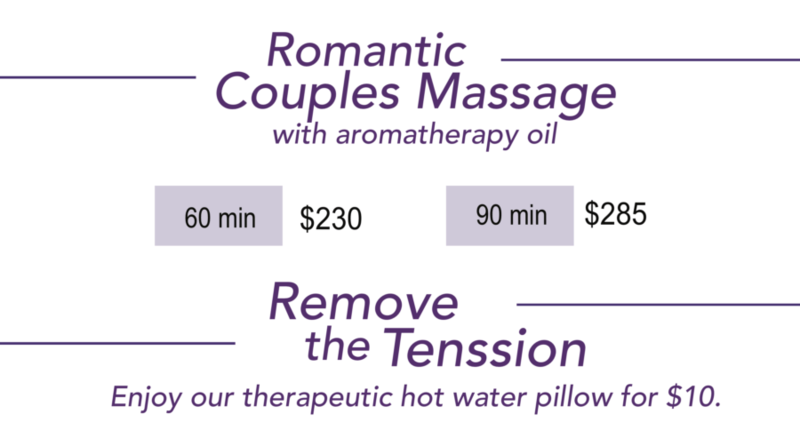 Note: This massage is combined with aromatherapy oil. Reflexology: An ancient Chinese technique that uses pressure-points. This massage is usually performed on your feet, but it can also be performed on your hands and ears. This massage restores the flow of energy throughout the entire body. Santé: This massage uses a combination of different circular and long stroke techniques that will help promote better circulation enhancing the flow of nutrients, sweeping away body waste and making you feel uplifted and reenergized. Four Hands: This massage is provides with 2 therapist at the same time.